Get ready to sweep everyone away in this exquisite navy blue poly crepe short tunic with floral print from snehal creations. this ban collared tunic has three fourth sleeves with a buttoned front. 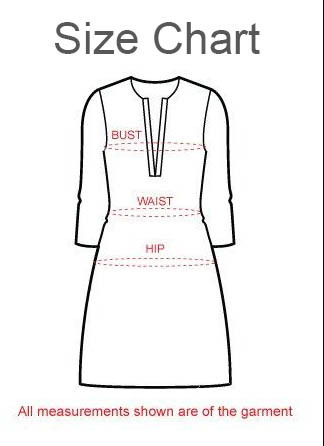 the base of the tunic is round and asymmetrical. jeans is best suited to go with it.